In February of last year, Exchange Dublin was shut down by the Temple Bar Cultural Trust over issues relating to antisocial behaviour. The Temple Bar Cultural Trust said that after a three-month cooling down period, it would consider reopening the arts centre. But three months came and went quite some time ago, and it hasn’t happened. As it turns out, the space is now going back into commercial use in the form of a café or restaurant. And the new tenant will be given the option to buy the premises, as Dublin City Council – which absorbed the Temple Bar Cultural Trust – moves to sell off all of its commercial properties in the area. 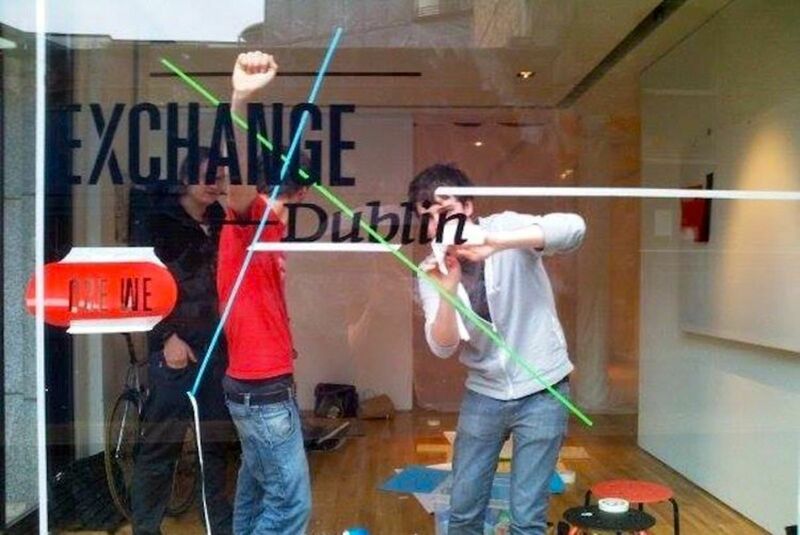 Opening in 2009 as the recession set in, Exchange Dublin took up a vacant retail space on Exchange Street Upper in Dublin’s “cultural quarter”. What had been a high-end furniture shop during the boom, was transformed into a collective arts centre run by students of NCAD and Trinity. It hosted exhibitions, discussions, gigs and various performances. And decisions were made by whoever attended its weekly meetings. The Exchange had a huge impact on Gareth Stack, who volunteered there during its first few years. He says Ireland felt to him like a hopeless place without many meaningful job prospects when he left college in 2008, but the cultural experience he had here changed his life. Running events, performing comedy, teaching creative writing and hosting exhibitions led him to pursue radio production, comedy, writing and film-making. He says it was a welcome “third space” in a city. But he believes it was never fully supported by the Temple Bar Cultural Trust or Dublin City Council. “Over time [the council] imposed increasingly strict conditions on Exchange’s continued existence, from documentation which had to be filled in every time furniture was moved . . . to mandatory volunteer training, to requiring the name of every visitor. A mountain of bureaucracy was piled on, and relations quickly deteriorated,” he says. Relations also deteriorated with neighbours, as local residents complained to the council about noise and antisocial behaviour. This is the reason why the Trust suspended the Exchange’s licence last year. Volunteers were informed of the impending closure in January 2014 – the same week as the “Copper’s Crush” left seven people injured. Many supporters were quick to point out that Copper Face Jacks wasn’t shut down. Five thousand people signed a petition calling for the Exchange to stay open. There were problems and still are problems with antisocial behaviour in the area, says Conor McQuillan, who was secretary of the Exchange throughout talks to try and get it reopened last year. He agrees that there were a few troublemakers in the area, but most of them ended up banned from the arts space, despite its open-door policy. “I would definitely say that one of our problems was that volunteers didn’t enforce the bans,” he admitted. But he says there was pressure on volunteers to prevent any antisocial behaviour near the Exchange, even if it wasn’t caused by its users. He also acknowledges that some residents had a problem with noise, but feels it shouldn’t have led to the collective being shut down. “I used to live on College Green and the noise from some of the buses buskers there was incredible, but, like, I didn’t get anywhere closed over it,” he says. McQuillan and the other volunteers were open to trying a different approach in an effort to appease neighbours. “We wanted to show that we could exist without disturbing residents lives – and hopefully vice versa,” he says. And as far as he was concerned, they were going to get the opportunity to do so. McQuillan describes the talks as confused, with no single point of contact within Dublin City Council. But after some positive meetings, he felt reassured that the Exchange would be reopening. They were offered two other locations, but volunteers turned them down because of their locations. They might have reconsidered, though, if they had realised that Temple Bar wouldn’t be an option. As far as McQuillan was concerned, volunteers were doing everything they could, but Assistant City Manager Brendan Kenny disagrees. Besides antisocial behaviour, the main issue, he says, was the collective’s management. It became clear that they were not in a position to develop an appropriate governance structure which would allow for a return to the premises, he says. This was made clear at meetings, he adds. McQuillan believes Dublin City Council never envisaged the volunteers reopening the space. Kenny admits it was unfair to ask volunteers to look after the outside of the Exchange and that the antisocial behaviour wasn’t caused by them. “It attracted big groups of young people,” he says. But he believes its closing has improved the area. 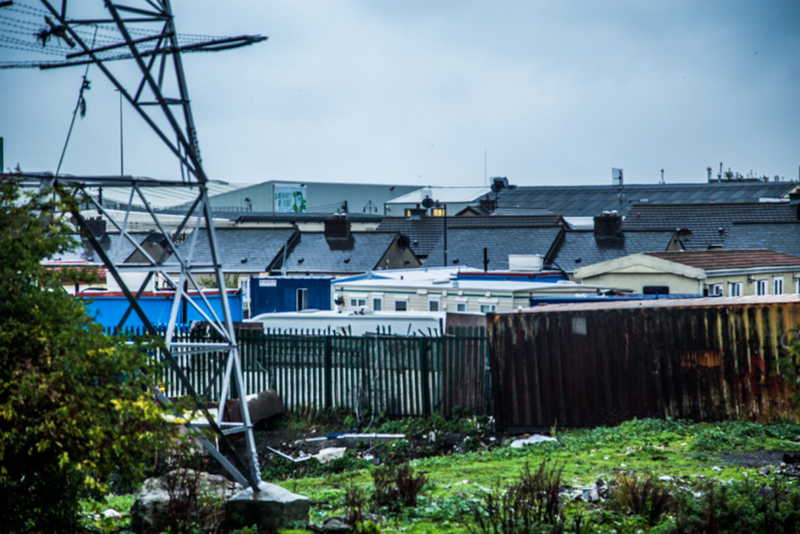 “The feedback that we have got from local residents, business and Gardaí is that the level of antisocial behaviour in this area has reduced,” he says. Rebecca Proctor, who has worked and studied across the road at The Gaiety School of Acting for three years, disagrees. She doesn’t think there’s been any decrease in antisocial behaviour. Just last Tuesday, residents had a meeting about drug use and antisocial behaviour in the area. McQuillan doesn’t believe the Exchange could have done anything more about the antisocial behaviour and says he still sees the same young people drinking on Cow’s Lane. “If anything, I think we were a positive influence on a couple of the groups of young people,” he adds. A few months worth of scheduled events had to be cancelled when the Exchange closed down. McQuillan estimates that at least 36 groups were using the Exchange when it shuttered. Some used it every week, others annually, and some intermittently. Two groups were accommodated by other arts venues, but most of the other groups didn’t survive long. He spent roughly four months trying to help groups find alternative spaces, but didn’t have much luck. It became increasingly clear that finding a city-centre location on a low budget wasn’t easy. “We [the Exchange] made it so that money wasn’t an obstacle to holding an event,” he say. “We ran close to the bone.” The subsidised rent definitely helped. As for volunteers, McQuillan estimates about a third of them have emigrated or returned to their native countries. Others have moved out of Dublin. And some, he stays in touch with. Some volunteers, including McQuillan, are still involved in creative communities. “This wasn’t an isolated incident. Literally dozens of similar spaces have been shut down in the city in the last two years,” says Stack. Whether it’s down to rent increases or reductions in public funding, he says their closures all have the same effect: a less creative, less hospitable, less culturally diverse city. 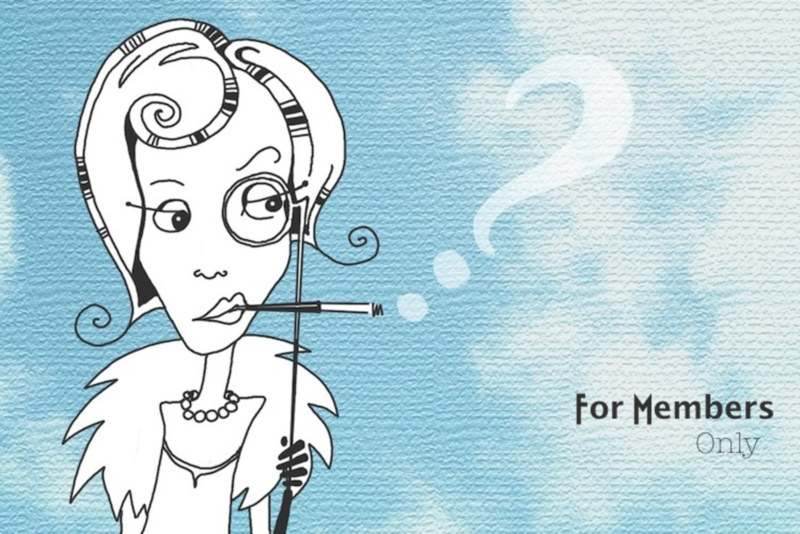 McQuillan feels the city still needs an alcohol-free, non-commercial space to hang out in. At Connect the Dots – a networking event which allows people to discuss what they’d like to see happen to the city’s empty vacant spaces – many suggest creating an alternative, creative, community space. Like the Exchange. Brendan Kenny says he like the idea of projects for young people, like the Exchange. Though there are no plans to start a new one, he says he’d support workable proposals. The lads on Rabble and Gareth Stack are trying to twist this but the right decision was made. I’m not sure what’s more irksome, the fact you think there’s some conspiracy to twist things afoot because rabble shared an inside opinion on the Exchange collapsing or that you seem to think the author of this piece sides with the council over the whole affair.